Flagstone is a beautiful and durable choice for walkways and patios, flagstone blends naturally with almost any type of landscape and outdoor decor. 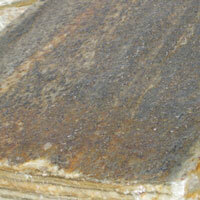 We carry two very popular varieties of flagstone in the 1 1/2" patio thickness. A wide selection of shapes and sizes are available, and you are welcome to pick and choose as you please. Click or tap on the images for a larger picture.